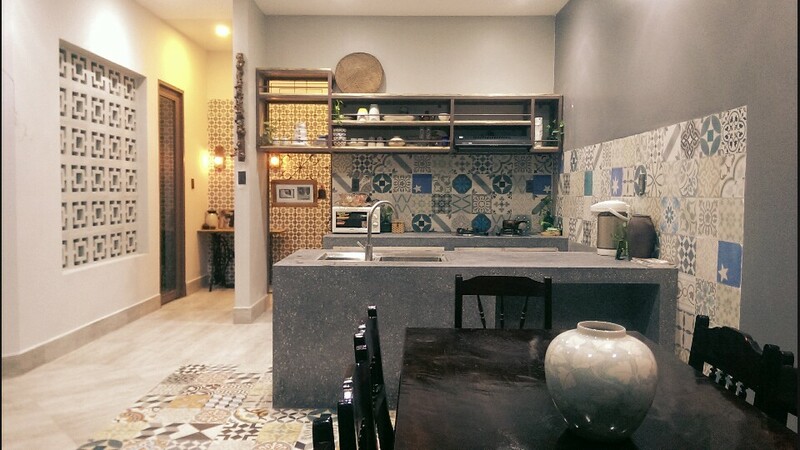 As a composition of young owners with an appreciation of aesthetics, Mosaic Garden looks like a home of a small family. It “scores points” with people by its unique style and gentle ambience instead of a luxury, monumental beauty. Stepping into the front yard, we catch sight of a small aquarium, and mosaic pattern tiles which you cannot mistake for anything else. Besides that, there is also a beautiful mini set of table and stools made by the owner for relaxing and drinking tea. 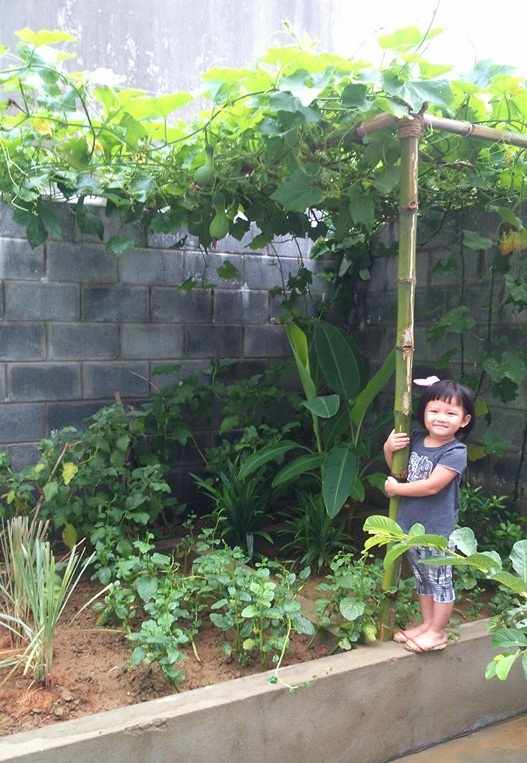 With a simple name “Guava’s garden”( Guava is the little daughter’s nickname), the small garden beside the house is also carefully taken care of: some malabar spinach beds, cabbage beds, cucurbit trellises,… enough for the family and visitors’ organic meals. Mr Linh said “We put heart and soul into this house, and decorate every corner by ourselves so that each family member becomes attached to and sees it “a place to return”. Then, any tourist when homestaying here has the same home-feelings. 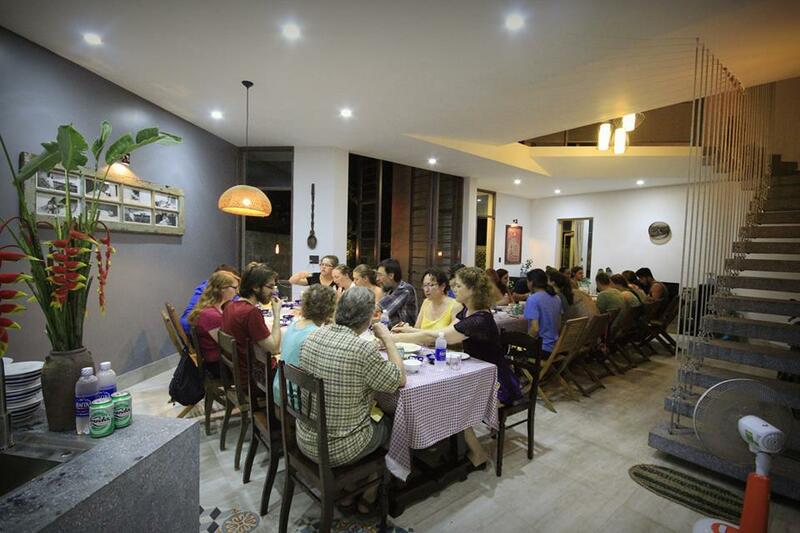 Not only for overnight visitors, this family is always willing to cook Hue typical lunch and dinner for any visitor who wants to enjoy an authentically Hue family’s meal, with a variety of rustic but unique, spectacularly-decorated dishes. A lot of tourists come here and have a good impression of Mosaic Garden. In future, the couple want to spare 2 to 3 days in which they turn Mosaic Garden into a play ground for kids, organize many outdoor activities for them such as : painting, flower arranging, cooking, crafting,…. – to help children access art from the easiest things and to let them freely create what they love. 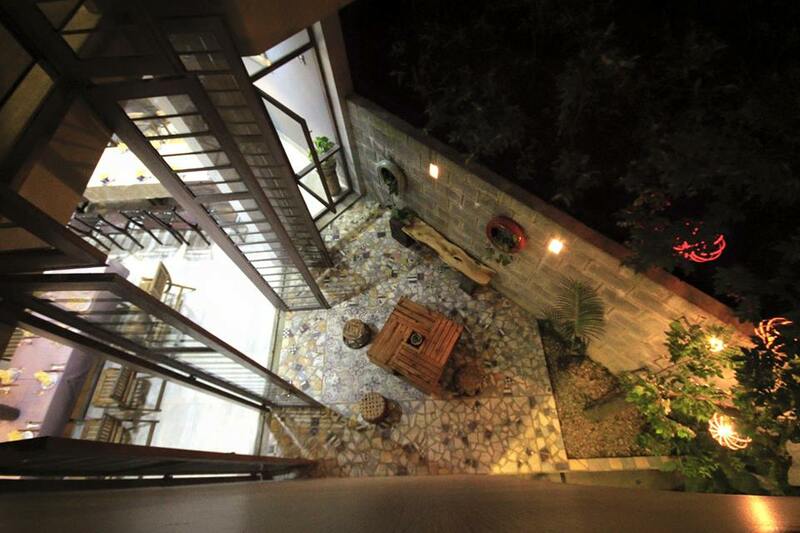 Address: Mosaic Garden (Guava’s home)- 11 alley, Vân Dương village, Thuỷ Vân Commune, Hương Thủy Town, Hue city.